The Cebek P-3 is a stereo audio selector module with 4 inputs and 1 output. 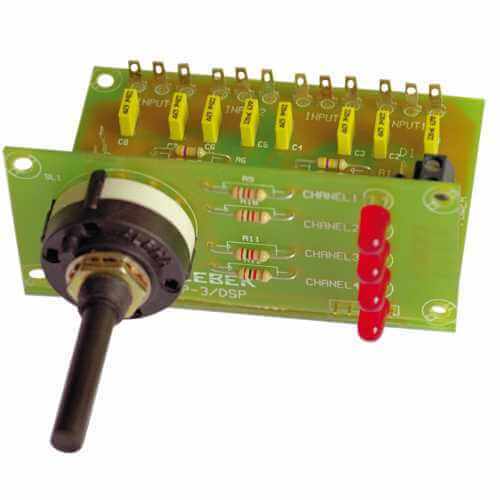 The onboard rotary switch allows you to select any of 4 input signals. Low noise and harmonic distortion circuit design. It includes protection against polarity inversion, LED's to indicate the selected channel, a rotary selector switch and terminals to allow easy assembly.